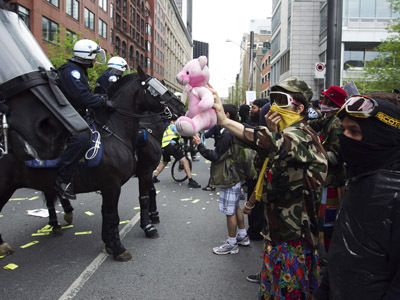 Demonstrating in Canada does not necessarily mean clashing with riot police. 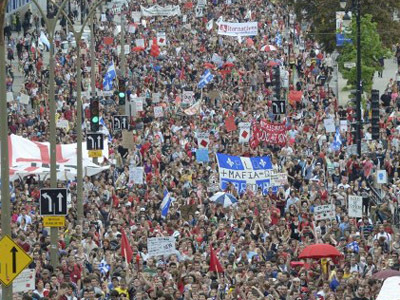 Some 10,000 protesters on the streets of Montreal proved it by turning a Saturday march into a free-spirited festival resembling the world-famous Love Parade. ­Protesters, most of them students, waved everything from the flag of Quebec to banners denouncing the latest national emergency laws curtailing the right to demonstrate.. Many rolled their way through the march on bicycles, rollerblades, and skateboards. Some came in attire befitting a Halloween party, while others chose to wear very little at all. 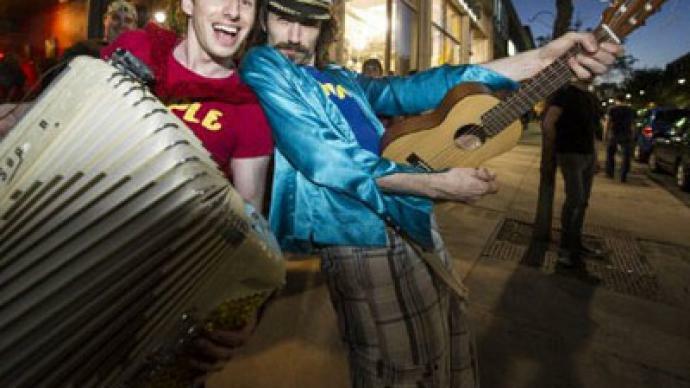 Most of the protesters were either banging pots and pans or playing instruments and whistling.The cacophony created by the scores of protesters was reportedly deafening. The police presence at the march was minimal, with no reports of arrests being registered at the peaceful event. 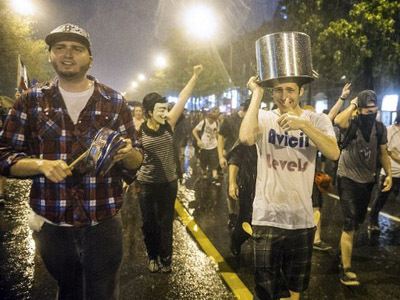 Canadian students have been protesting for over 100 days now, with several instances of violent clashes with police having been reported. 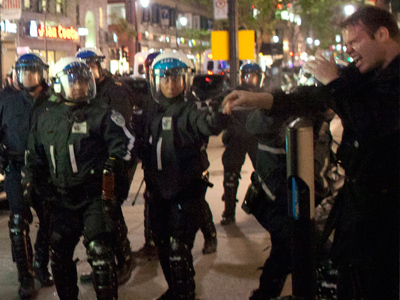 Last Wednesday night police harshly cracked down on a similar student demonstration. 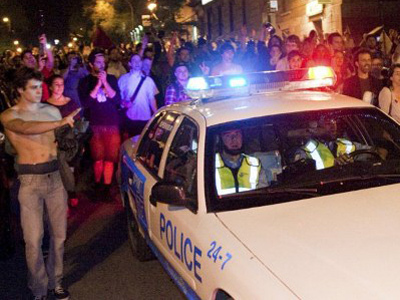 Some 700 people were detained throughout the Quebec province, pushing the total number of those detained over the last several months to at least 2,500.